Looking to replace stock set up with disks in the front and shoes in the back. Any suggestions on replacements to upgrade from stock? Im using the car now in the spring/summer/fall for shows, rides and general driving fun. Im going to keep the non power disk set up and keep the shoes in the back. Thanks! I installed the CSRP 4 cylinder power kit on my original spindles. If I can do it anyone can. It would definitely be easier with the engine out but I did mine with it in. How much of a driving difference do you feel going from a non power set up to power? big difference...power is very nice.. have a manual disc I drag race and its ok.. will stop any time.. But have 2 power disk cars that will through you forward if hit to hard. My wife complained about the manual brakes and she just drove it with the power brakes and didn't mention it. It is a big difference. 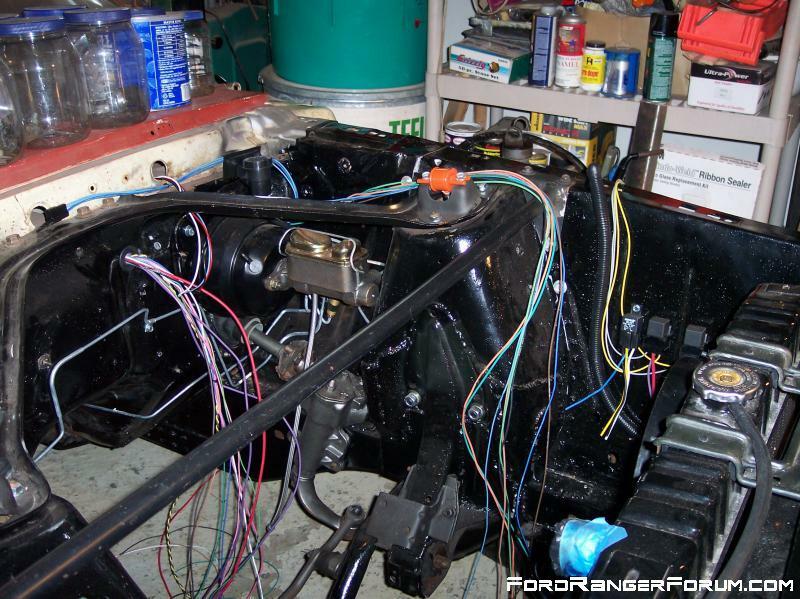 70+ spindles and MustangSteve brackets. 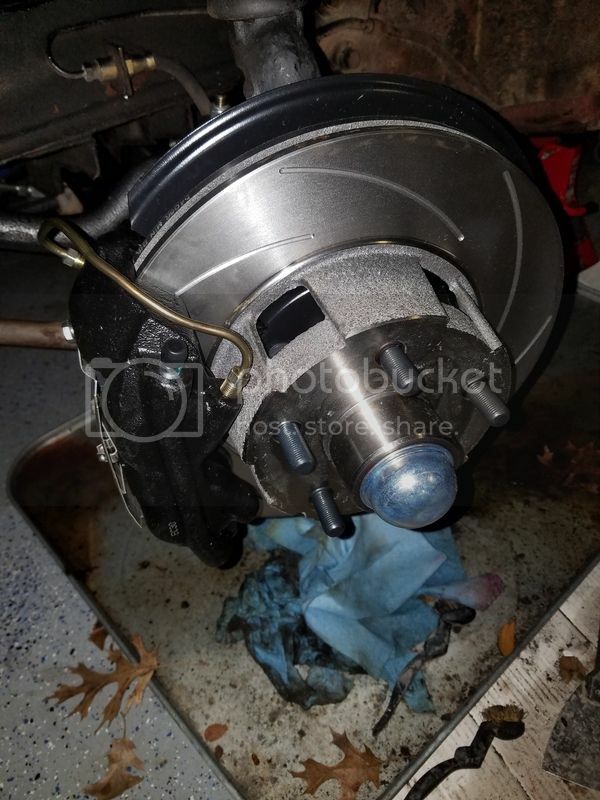 94-04 Cobra 13” discs and calipers. Cobra discs in rear too. I fabbed up some universal style braided stainless flexible lines and adapted to stock hard lines. Manual master. No road time yet, may end up going power booster once I get some drive time in. I removed my Midland booster and couldn't be happier. Really? So you prefer manual brakes? What are you running? Really, true story. With the Booster Dewey rebuilt Midland power booster, I could only make 15 bars of vacuum and 925 psi at the caliper. 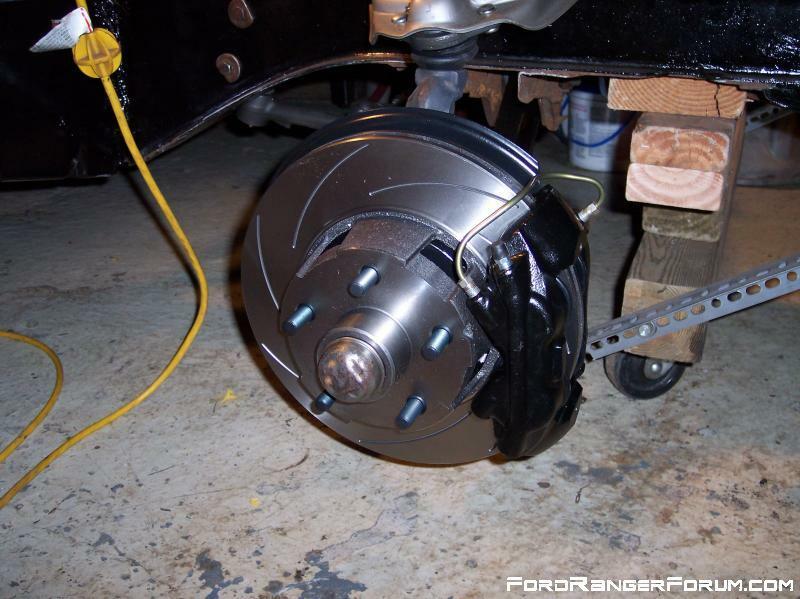 When I removed the booster and installed the manual brake pedal, I had 2001 Cobra 13" rotors and the PBR calipers. I now have 14.2" rotors and 4 piston 2014 Mustang GT Brembo calipers. 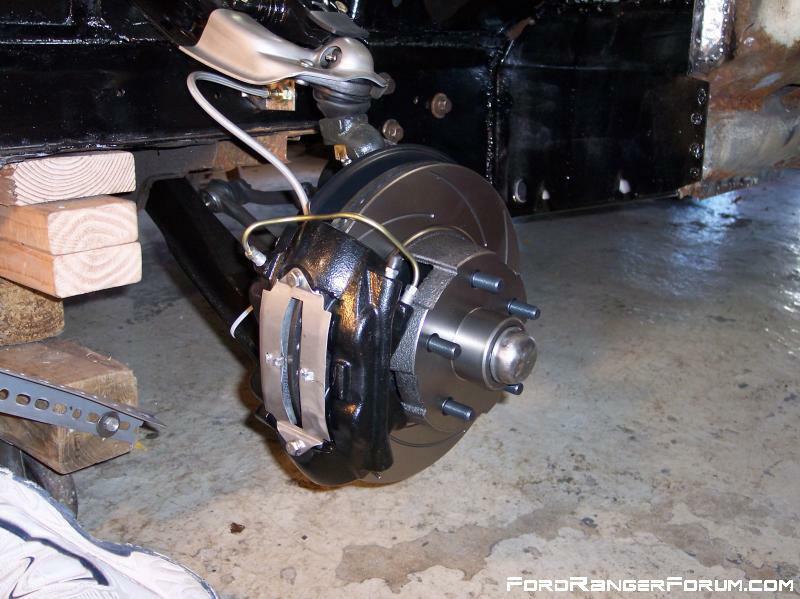 Both the 13 and 14" combos worked well with a Dorman M39953 1" bore master cylinder. Every manual brake car I've driven had better pedal feel than the power ones. It stops better than ever now. I too like the simplicity and more room under the hood. I installed the CSRP 4 cylinder power kit﻿ on my original spindles. If I can do it anyone can. It would definitely be easier with the engine out but I did mine with it in. Ed, Marble Falls is a short road trip from Austin, did you drive down and pick the parts up? Also, did you purchase your kit with the booster or did you use your own? Yes I drove and I bought the complete kit with the booster. 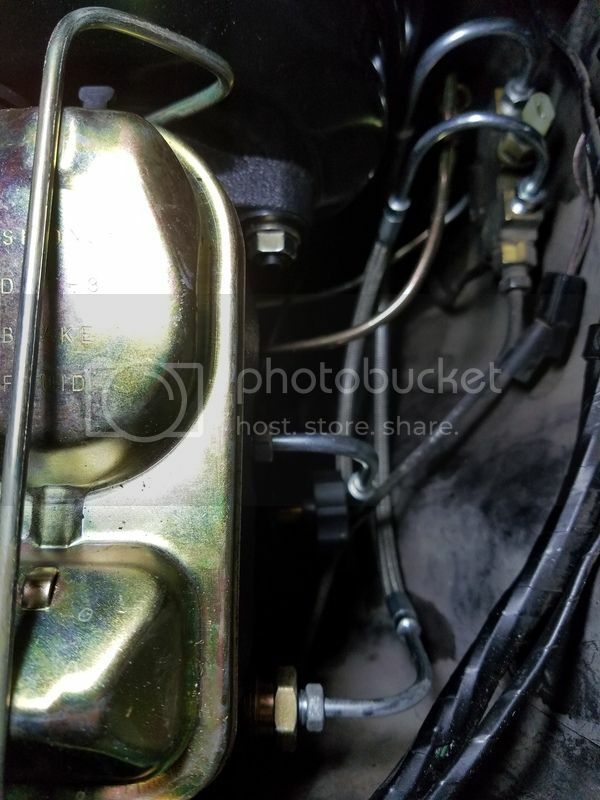 There were times I wished I was staying manual like when I had to replace the pedal and when I had to rehook the brake lines.